Complete range of Vileda Products.Vileda Mops, Magic Mop, Vileda Australia, Vileda Mop Refill, Vileda Ultramax, Vileda Spray Mop, Vileda Bath Magic, Super Mop, Vileda Mop and Bucket. 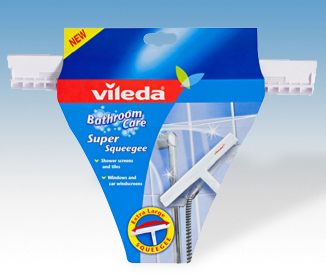 Vileda is both a household name and a valued member of most households the world over. Find out what it is that makes us who we are. Ideal for shower screens and tiles. Can be used on any windows (house, car or boat). Extra large head making tasks even quicker.